So after about fifteen years of making and breaking New Year’s resolutions, I took a 5-7 year hiatus and just decided to usher in the New Year sans broken promises and guilt come mid January. Then, last year I did something innovative, at least for me. While hosting my annual New Year’s Eve appetizer shin-dig, I gathered some pretty note-cards and pens and put them on the table. 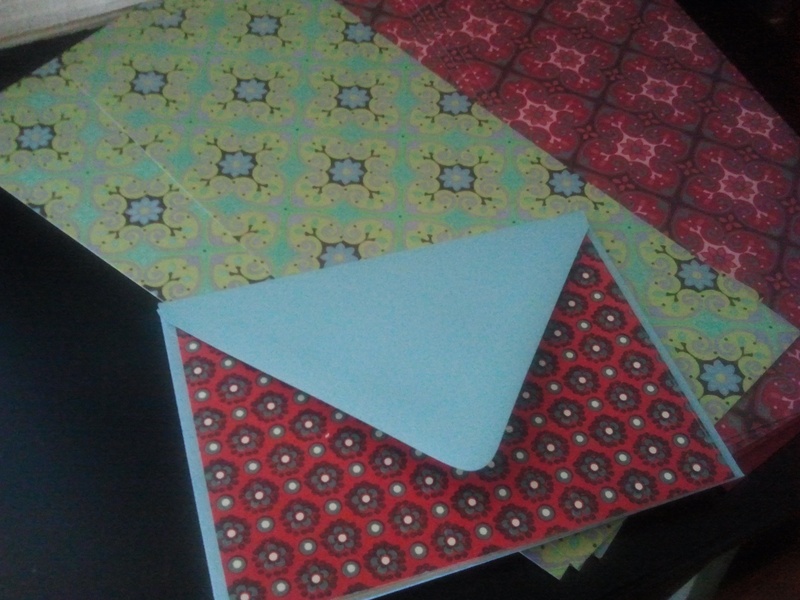 Everyone was encouraged to write and address a card to themselves for 2011. The envelopes were sealed and addressed and I mailed them out about two weeks before Christmas. When I opened mine and read the funny little note to myself, something remarkable happened…I didn’t feel bad. There was no gut wrenching guilt from having set higher than life expectations and failed to realize them. There was no longing to go back about 3 months and begin making amends. Instead I was comfortable with the me that I had set out to be, because this wasn’t just a list of goals or expectations (although those are all well and good), but instead it was an open letter to myself, a word of encouragement and in some ways a revolutionary way of meeting goals without expressly setting out to do so. So now as we are one day more into 2012 I am going to sit down and write myself another note, seal it and address, only to be opened on Dec 11th, 2012. The best thing about this little activity, is that it is never too late to do it. And if you are steadfast in wanting to write your massive “To Do” list you may do this in conjunction with that. But as for me and mine, we say down with New Year’s resolutions, because what we really need at this point in life is a New Year’s Revolution. Wonderful Idea…I’ll do it too. You are currently reading A New Year’s Revolution at The Prude Papers.